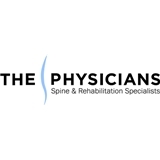 The Physicians Spine & Rehabilitation (Calhoun) - Book Appointment Online! Since 1995, The Physicians Spine and Rehabilitation Specialists of Georgia has provided innovative, effective and comprehensive treatment of pain with special emphasis on spinal pain. We strive to improve our patients’ quality of life and restore function to individuals suffering from acute and chronic pain conditions. We are committed to excellence and compassion in caring for our patients. We offer non-surgical treatment of spinal pain using the most advanced diagnostic and therapeutic techniques to identify and eliminate or minimize pain at its source. Our board certified physicians work with patients to help them better understand their condition and the treatment options available to them. Our physicians have all earned the added qualification in Pain Management; the only pain management certification recognized by the American Board of Medical Specialties. Dr. Mefferd is amazing! He's extremely knowledgeable and has immensely improved my quality of life. I highly recommend him to anyone who is suffering from chronic pain! He was good. He listen to you and your needs. Very thorough and considerate care. Doctor Alvear took a lot of time to understand my issues and explain options. Very cordial & informative about alternate medication, nurse very nice as per norm; good advisement on meds and procedure. Susan was so nice and has great bedside manner. She made me feel comfortable & answered all of my questions. Amy is wonderful. She is always so patient with me and her care has really helped my pain. The staff in Marietta is the best! They take such good care of their patients.